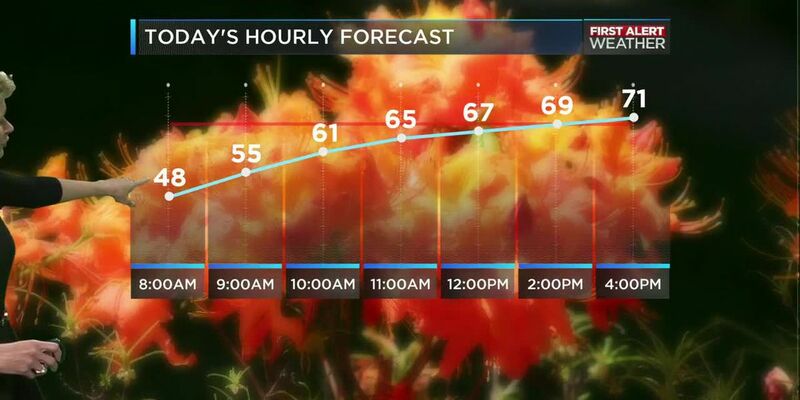 CHARLOTTE, NC (WBTV) - The dry weather will continue a few more days! Wednesday will be noticeably different from today. For one thing, it will be warmer. We will only fall to the upper 40s in the morning and we’ll will be back in the low 80s for highs. Rain still shouldn’t be an issue though. Thursday will be about the same but there is a 20% chance for showers – mainly in the afternoon or evening. Friday is a very different story. A cold front will bring the possibility of strong to severe storms. That is why a First Alert has been issued. The biggest threat for now will be pockets of heavy rain. However, gusty winds and hail can’t be ruled out. We will be able to fine tune the forecast more as we get closer. 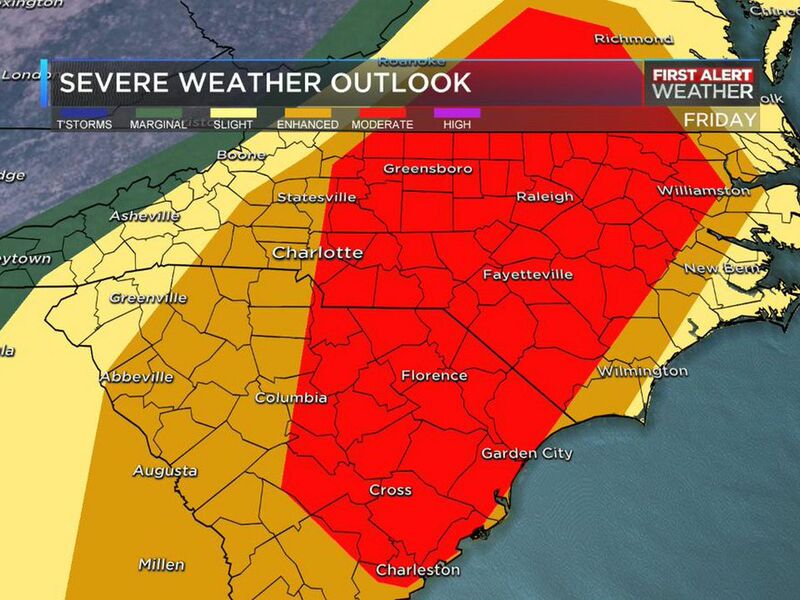 We just wanted to alert you that with more people being off for Good Friday, outdoor plans could be impacted. Saturday will be the transition day. It will be cooler and cloudy. Highs will only reach the mid 60s. There could be a few stray showers too. Easter Sunday is looking great though! With sunny skies, highs will be in the mid 70s. It was nice to have more sun back out for our Easter Sunday!